Citizens describe to Oxfam their lives amid violence, disease, and lack of food. Conflict in Yemen is creating the world’s worst humanitarian crisis, and civilians are bearing the cost of the violence, disease, and near-famine conditions in the country. Fighting has forced three million people from their homes. Ibrahim and his family are surviving with a little help in the form of cash from Oxfam, which he uses to buy food and medicine to help his children. He says his children are too scared of airstrikes and shelling to go to school. Oxfam estimates that between 2015 and August 2018 there have been 17,160 civilian casualties in fighting: 6,660 dead and 10,500 injured. Airstrikes account for the majority of civilian casualties in Yemen, though Yemenis also suffer greatly from shelling, the deployment of landmines, and other facets of the violence. For many people, lack of work and no money to buy food is also deadly, as a prolonged financial crisis in Yemen is sending food prices sky high. Poor nutrition make many more susceptible to preventable diseases—and children in particular are vulnerable. Among Yemen’s 29.3 million population, 75 percent (22.2 million) are in need of humanitarian assistance and 60 percent (nearly 18 million) are suffering from food insecurity and malnutrition. Clean water, and hygiene items like soap, proper latrines, and training on how to avoid cholera and other water-borne diseases. Oxfam is helping repair water systems and trucking water to help displaced people and other at-risk communities. 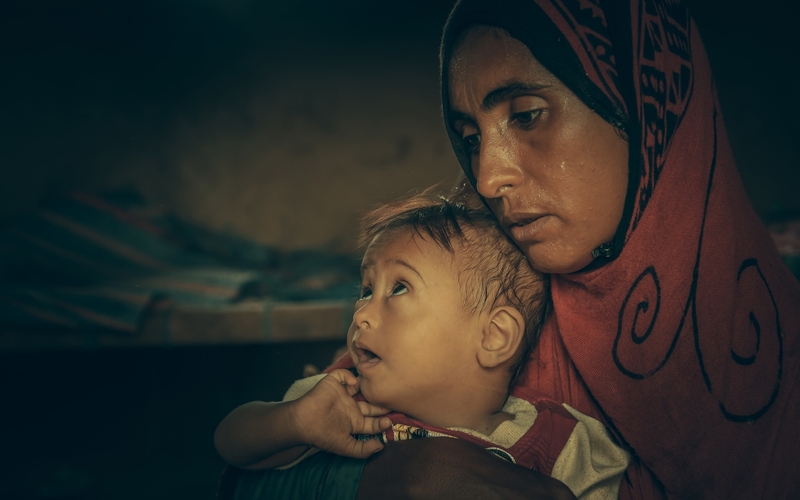 Oxfam is calling for a ceasefire, negotiations to end the conflict, respect for international humanitarian law, and unrestricted imports so that Yemenis can access food, fuel, and other humanitarian aid. Oxfam wants to see women represented in the political talks and, following a ceasefire, for the parties to work together to support Yemen’s government institutions and economy. You can also write to your representatives in the House and tell them to pass a clean Yemen War Powers Resolution AND reject any unrelated amendments being attached to the resolution.